... according to Kenny Goldsmith! Click on the funny money, or here, to find out more. Or less, given what a dollar's worth these days... which goes to show you that American poetry is on the verge of bankruptcy. And also that mere mention of "flarf" inflates web traffic (present company excluded). Click here for a response to my comments in this post. Speaking of funny business and silly language hijinx... "Oxford University Press has removed words like "aisle", "bishop", "chapel", "empire" and "monarch" from its Junior Dictionary and replaced them with words like "blog", "broadband" and "celebrity". Dozens of words related to the countryside have also been culled." Obviously, more poets should get into gubernatorial politics. That's where the money is. Risky, though. "Ouch!" cried the cunning oyster-eater, M. Goldsmith. "A pearl!" Someone at the next table bought it for 100 francs. It had cost 10 centimes at the dime store. It was M. Sullivan’s strange wish: to be embalmed and floated down the Seine, on a log raft-- with an uneducated-sounding guy named Jim manning the rudder. Come now, Anon, have you no more gibes & gambols? Brag, sweet tenor bull! the word lists look like the makings of an MFA creative writing exercise: write a (insert obscure medieval verse form of choice) using ten words from each list. Impassive, impenetrable, offering only name, rank, and institution, the heroic neo-Oulipean M. Bök withstood three weeks of waterboarding in the secret chambers of the Poetry Foundation. Finally, he broke. It's my blog, and I demand to know what the hell you guys are going on about! Our collective is merely offering, following your posting above, some modest faits divers topical to "Conceptualism" and "Flarf," these last being, as you know, minor and contradictory poetic expressions of Late Capital, poignantly pining to be taken as iconoclastically momentous, even as their practitioners dissemble in hipster-ish insouciance... As R. P. Blackmur used to say, The savor of the yeast comes baked in the cake. With its horrible monsters and efflorescent skin diseases, a traveling carnival show burned down in Montgeron. Even as the embers glowed, The Symposium on Conceptual Poetries was called to order, in Tucson. M. Anon, I buy not a word of this. As R.P. Blackmur said of the flaneur and hipster Dean Gauss, "Only those have force who know it is not theirs unless it is given to others." The Symposium's embers quickly cooled to ash, if not Ashbery. I am not blind to the worth of the wonderful gift of these faits divers. Too much lymph in the temperament were making our western wits fat & mean. Peace be upon each of your wives. Don, thou shalt know more anon! Sick of it all, poet M. Bertin, 34, blew out his brains. A tragedy, yes… But then again (as the townsfolk of Vannes murmured to themselves), if you were only a poet, wouldn’t you blow your brains out, too? With respect, Don, that coin's not funny money. Where I come from (i.e. 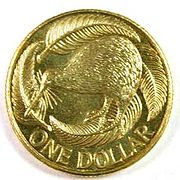 New Zealand), that's a dinkum dollar. Quite right, Tim, and an apology is owed, so to speak. I'm especially chastened to reflect that it's our money here in the US which is funny at the moment. Walp, I think I need a couple of those 99-cent tallboys, because I seem to have just gotten a lot stupider in the last fifteen minutes. Whereas perhaps the agrarian/bucolic words have simply been rendered superfluous? Since our children now spend the bulk of their time frolicking in nature! i think you're missing his point.